Parents can help toddlers’ language skills by showing them a variety of examples of different actions, according to new research from the University of Liverpool. 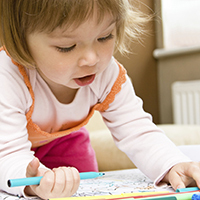 Previous research has shown that verbs pose particular difficulties to toddlers as they refer to actions rather than objects, and actions are often different each time a child sees them. To find out more about this area of child language, University psychologists asked a group of toddlers to watch one of two short videos. They then examined whether watching a cartoon star repeat the same action, compared to a character performing three different actions, affected the children’s understanding of verbs. 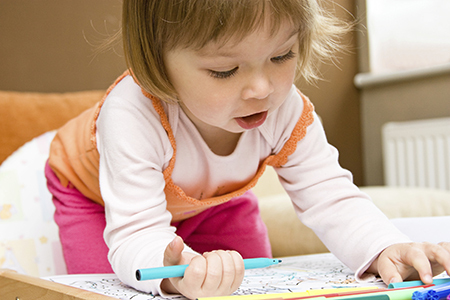 Developmental psychologist, Dr Katherine Twomey, said: “Knowledge of how children start to learn language is important to our understanding of how they progress throughout preschool and school years. The research is published in the British Journal of Developmental Psychology by The British Psychological Society and Wiley. This is some very interesting results, it reminds me of a similar reaseach i read a few days ago that comes to same conclusions to this one.